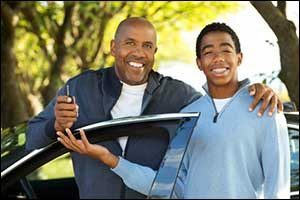 Fall River Car Insurance: Are Your College-Aged Kids Covered? It’s graduation season and the kids are ready to leave the nest and start making their own mark away at college. However, when they come back home for holidays or summer vacation, it’s likely that they will still want to borrow the family car. Fall River auto insurance is designed to protect your vehicle in the event of an accident or another type of incident. However, it will only protect you if everyone who drives it is covered by your policy. If you aren’t sure who is covered – and who isn’t – on your existing policy, visit Paul Sullivan Insurance Agency in Fall River to discuss your coverage. Even if your college-aged kids have their own insurance policy, they might not be covered to drive your vehicles. If you sat down with your agent recently to discuss your rate for auto insurance in Fall River, they might have asked you who lives in your household. The reason for this is that they wanted to know how many eligible drivers might be driving your vehicle. Your premium is figured based on everyone who is covered to drive. When you had teenagers still in high school living at home, your policy likely covered all of those who had a driver’s license. However, now that those teenagers are adults, whether they own their own car and have their own insurance coverage or not, they might not still be on your policy. Adult children may be excluded from a policy, which means that they are not covered for any accidents or incidents occur while they are driving your vehicle. There are a number of reasons why an exclusion might happen. The most common is to reduce the insurance rate for the remaining drivers in the home. By removing an inexperienced driver from your policy, you will likely save hundreds, if not thousands, over the term of the policy. When a child moves away from home to go to college, many parents remove them from their policy. When a child moves away to get their own apartment, they are also often removed from the insurance policy. However, if that child visits or comes home for any reason, uses the family vehicle, and gets into an accident, it won’t be covered. The good news is that it is easy to lift this type of exclusion from your existing Fall River auto insurance policy. 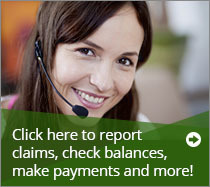 Just contact your agent and let them know that you want your child or children added back to your policy. This will cover you and your vehicle if they get into an accident while driving your car. Even if they only come home for the holidays or over summer vacation, you will want to make sure that they are included in your policy. Speak with your insurance agency in Fall River to find out if you can add your college-aged children to your policy just for the months that they are home. It will mean a little more paperwork, but you might be able to save on the months that they are away at school. Some policies allow for adult children to be named as “part-time drivers” for coverage purposes. You will still need to advise your insurance agent when the child will be home and driving under the policy, just to make sure that coverage is provided. The notification policy can vary widely between agencies and providers, so make sure you know what you need to do about college-aged drivers before they come home. It might sound like a hassle, but any changes that you make to your policy that can reduce your premium may be helpful to your annual budget. It is important to communicate regularly with your Fall River car insurance agent to ensure that everything stays current and that coverage is accurately provided. For college-aged kids who own their own vehicles and are covered under their own insurance policy, it is also important for them to contact their agent to let them know where they will be living throughout the year. Premium rates might vary between the home address and the college campus, which means their rates could go down over the summer months. Even if there is no difference in cost, it’s always a good idea to stay in communication with your insurance agency in Fall River. The more our team of agents knows what you need at various stages of your life, the better we will be able to provide you with the coverage required to protect it. Give us a call at 508-678-9611 to speak with an agent about your Fall River auto insurance policy.